These days many of us strive to achieve a balance between our work life and our home life. Long days at the office are not as popular as they once were. With the rise of telecommuting, many employees can work from home, and check in with their offices from time to time. Additionally, many people want to work for themselves and start a home business. However, there is much more to working from home, than just being able to stay in you pajamas all day, it is very important to have a good working space, because when you are working from home, a kitchen table won’t just cut it, you will need a home office. 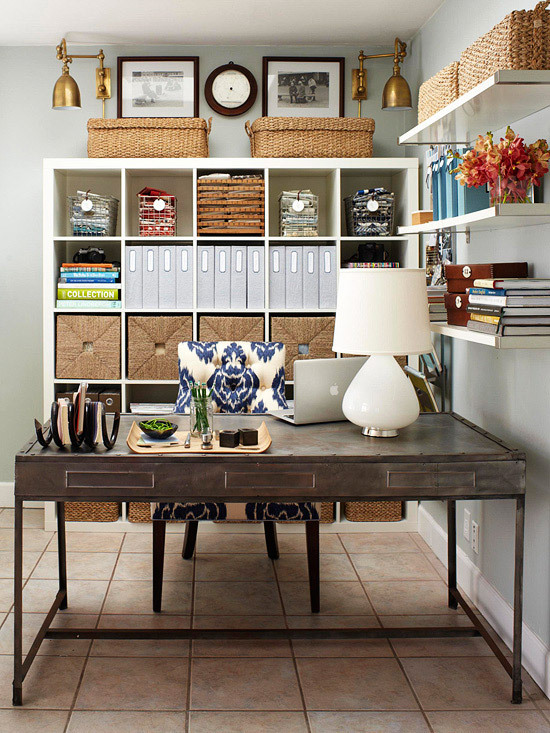 A home office is a great idea even for those who will just need it to organize their family’s finances and to have a place to store all the valuable documents. Apart from the obvious home office needs which are a desk and a chair, there are a few other items that you may need as you endeavor to set up a place to work. One of the first things to get is office supplies, storage boxes for important documents, binders so that loose sheets of paper don’t fly on by, paper clips, pens and pencils. You might want to invest in an organizer of some kind to keep yourself in check also. When you are starting out supplying your home office, it is a great time to make sure that all the items match. Working in a nice looking space will be much more pleasant than working in a cluttered and dull office. When looking for nice matching office supplies, checkout collections such as the Martha Stewart Home Office collection with Avery Dennison, everything in it flows so well together it takes the thinking out of office design. In your home business, never underestimate the power of networking. Networking is cited time and time again as the greatest way to grow your business. As you network, be sure to hand out business cards to all the new people you meet. These should have your name and other valuable contact information. A great idea would be to make these cards stand out from all the other business cards, by making them somewhat unique and therefore more memorable. When setting up your home based business ensure that your work space and your work supplies are a reflection of you. It will make all the difference.